Affordable medical travel insurance will no doubt provide invaluable peace of mind for travellers who have a pre-existing medical condition such as a history of altitude sickness. New research shows that these people may also benefit from taking ibuprofen if they're planning a holiday somewhere that has lots of high places. A study by US scientists found that the drug, commonly taken to relieve pain and inflammation, reduces the risk of altitude sickness, symptoms of which include headache, fatigue, dizziness, nausea and vomiting. The condition is potentially fatal, if left untreated, due to dangerous water retention in the brain. The research analysed 58 men and 28 women who hiked to an altitude of 12,570 feet in the White Mountains of California. Some 43% of those who took three doses of ibuprofen during their hike reported symptoms of altitude sickness compared with 69% of those who were treated with a non-active dummy drug. 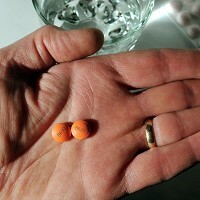 The study, published in the Annals of Emergency Medicine, also found that people who were given ibuprofen reported generally less severe symptoms of altitude sickness, which is also known as "acute mountain sickness" (AMS). Lead scientist, Dr Grant Lipman, from Stanford University, said: "Ibuprofen could be a way to prevent AMS in a significant number of the tens of millions of people who travel to high altitudes each year."